When I first started getting into knitting, like really getting into knitting, Kate Oates happened to fall into my path. It was the very beginning of my blog, Yarn On The House, and she became one of my first indie designers that so sweetly said yes to an interview and giveaway. Fast forward to now and we have managed to keep in touch all of these years. Not only on the knitting front, but also watching each others' families grow and be lucky enough to meet in person on a few occasions to drink wine, reminisce and laugh about the good, the bad and the ugly. Kate is one of those designers that inspired me from the very beginning and she is still as wonderful and talented at producing wearable timeless garments with thoughtful detailing. Her pieces are ones that I would love to have in my closet... all of them. Only mine would be gray or black. You know me! I am so very proud of my friend, Kate, for taking the leap into self publishing a real life printed book of her very own. Grown, Sophisticated Sweater Designs from the Maker of Tot Toppers, is a beautiful new book that features 10 raglan-style sweaters with minimal finishing, each inspired by an original Tot Toppers design. I hope that I was in some small way a little bug in her ear when she was deciding between digital only and print, because I knew deep down that this project was going to be magnificent and a collection of knitwear that will be in style for many, many years to come. And, I was right. The photography is stellar, the models are adorable, and Kate's genius garment engineering and tasteful design touch make this book, well, perfect. YOTH was lucky enough to be included in two of her lovely patterns: the Grace Wrapper, a totally sweet and feminine wrap sweater that is perfect for skirts, long flowy tunics or dresses, and the handsome Scholar Cardigan, a very fitting companion for our unisex brand and yarn. The Grace Wrapper uses our soft Big Sister and the Scholar Cardigan was a perfect match for Father, our work horse of a worsted. And, that's only two of the ten great patterns in this book. The book is available for pre-order here with some goodies to go along with it, or you can order this beauty as an e-book only, if you are a digital lover! And, today Kate and I are hosting a giveaway for your chance to win a full pre-order package (Grown E-book & your choice of a single Tot Toppers coordinating children's pattern, the print version of Grown and a custom Retromantic Fripperies wooden treat) + a sweater's worth of Father (10 skeins) in our signature color Caviar for a Scholar Cardigan. All you need to do is pop over to Ravelry and go show Kate's new book some love and come back to comment here which of her 10 patterns is your favorite! The giveaway ends October 20th at midnight (Pacific Time), so make sure you leave your comment by then. P.S. I'm headed to Rhinebeck for the very first time. I'll be at the Indie Untangled event inside the Magpie Fibers booth. Be sure to stop by if you are there or just say hello if you see me walking around at the festival. I love meeting my peeps, in real life! Oh my gosh, what a great giveaway! I love the patterns, but I think Jesse's Girl is my favorite. What an awesome giveaway!!! I had added Sidewalk Sweater to my favorites the other day....Didn't realize it was part of such an awesome book! I also really love Jesse's Girl. I really love Jessie's Girl. The cable work looks like fun and is interesting to look at. I think I could wear Joey's cardigan everyday! Awesome!! My fav has to the be grace wrapper! I love the sidewalk sweater! Beautiful! This is an awesome give away! I have had my eye on Sidewalk Sweater since it hit Ravelry! Oh man these sweaters are beautiful! I don't think i could pick a favorite but my top three at Plaza Hoodie, the women's version of Scholar cardigan and Jesse's girl. Beautiful patterns! Beautiful designs! My favorite is the Grace Wrap...thanks for the giveaway! It's really hard to pick one because they are all beautiful!! But I think my favorite is the Plaza Hoodie! I'd happily wear all of these, but my favorite is the Grace Wrapper! Love the details at the wrist. Love, Love, LOVE Kate's designs! Have wrapper is my favorite with Jessie's girl being a close second! What a beautiful giveaway. I love the Grace Wrapper. Those designs are all gorgeous! I've never knitted a sweater before and am planning on starting very soon- I would love to try out Joey's sweater. So beautiful! I am so excited about this collection. Just brilliant. Love all the Father-Son and Mother-Daughter combos that can now be made! My choice of favorite would be the Downtown Pullover because I've already started the kid version Grove Pullover for my 7 year old. I think my 18 year old might need one to match his younger brother! Thanks so much both - what a lovely book. I like the Brecken and Jesse's Girl the best. It a really nice collection. It's a tie between Scholar cardigan and Joey Sweater. I can't choose between them! It's a hard choice because they are all so lovely, but I think I'll go with Joey. It's so cute! I'm having a hard time deciding between Jesse's Girl and Joey's Sweater. 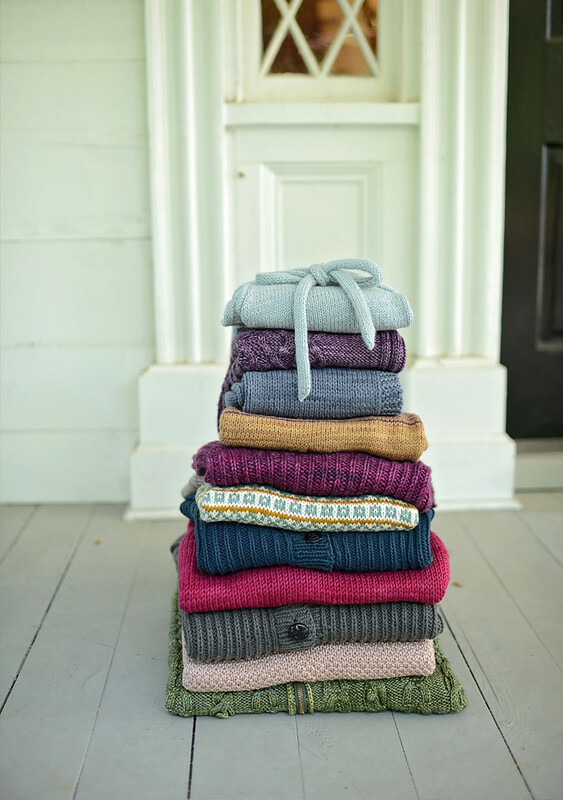 I love the Grace wrapper, Artisan, and Brecken sweaters. But the one I would be most likely to knit would be the Brecken. I preordered as soon as it landed, ha! I am knitting Scholar for my husband and was just waiting until Nov. 1st (end of my yarn diet, ha ha) to purchase the Father for it..would be sweet to win! I love Scholar and Jesse's Girl, though they're all beautiful. Oh man! So hard to choose between sidewalk and brecken but I think I'm going to go with sidewalk. Wait, brecken! Yeah...? Ok, definitely brecken! Really tough to decide, but I like the Sidewalk Sweater a lot! Jesse's Girl is really fabulous, but all of the men's patterns are great as well. It can be such a challenge to find interesting but wearable men's sweaters. I love the sidewalk sweater!! I love the Brecken sweater! Thanks for the great giveaway. I need to start the Scholar Cardigan now even if I don't have the right yarn. This is my favorite but I would be trilled to have a selection in my wardrobe this winter. I am in love with the side walk sweater! What an amazing giveaway! I'm torn between the gorgeous cables of Jesse's Girl but the casual chic of the Sidewalk Sweater is calling my name too. The whole collection is beautiful, Kate! So feeling the Joey right now! In purple for sure. I'm really into cables, so Jesse's looks like lots of fun! Great color too. Super patterns! Scholar is perfection! Except I'd have to cardiganize it :) The Scholar cardi is lovely too! These are all great tops, but I love the Plaza Hoodie ❤️ What a fun and multi-seasonal top! I'm really into men's/unisex sweaters right now, so the Downtown Pullover and Scholar Cardigan are calling to me. Would love to knit either of these!! They are all so great, but I especially love the Brecken Sweater. What a fun color combo! Thanks for a great giveaway! I love cables, so Jesse's Girl is my favorite. Jesse's girl is just gorgeous!!! Thanks for the chance to win and for sharing this book with us. It looks amazing. I love Kate's designs for kids and I am so excited that she translated them into adult fashion as well. I like so many of the sweaters but I think I would make Jesse's girl first. Thank you to both of you for hosting this giveaway it is an amazing prize pack. Thanks for the chance to win, what a lovely book! My favorite pattern is the Joey Sweater, it's so pretty!!! So many beautiful designs and a lovely giveaway. Bracken is the best! Hi! Thank you for the giveaway opportunity! I have knit with your yarns before and love them - beautiful fabric! But I think I would like to knit the Scholar sweater in the beautiful Caviar shade for my college son - he's studying in Beijing this semester and I really miss him!! I LOVE the Jessie's Girl Cardigan! So pretty! I like the Sidewalk Sweater, I like how the neck is designed, I like that it has some shape to it and the raglan sleeve. It is a bulky yarn yet it doesn't have the big bulky look love it ! Jessie's Girl is definitely my favorite. Such awesome texture. Jesse's Girl is my favorite...especially in the purple! Number one. I love YOTH yarns and secondly the Grace Wrapper is beautiful! 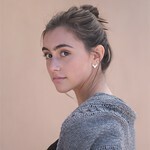 The Scholar Cardigan is my favorite! And in Caviar? Swoon. I love the Scholar Cardigan! I can't pick just one- Joey and Jesse are for me! My favorite is the Downtown Pullover. The Grace wrapper is so beautiful!! All the patterns are beautiful! I love the Grace wrapper and joey sweater. Thanks for the giveaway! I love both the grace wrapper and plaza hoodie. Couldn't really choose one! So many nice sweaters, but I think I'd wear the Scholar Cardigan most. Thanks for the opportunity! They are all lovely, but Jesse's girl has won my heart! 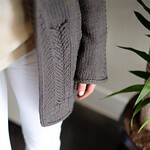 I could totally picture myself wearing the Brecken sweater! Such a unique design, I love it! I love the grace wrapper! Would go perfectly with my dresses for winter! The Grace wrapper is by far my favorite!!! Stunning!! What a fun giveaway! Many of these designs showed up in my favorites yesterday and I was immediately in love! It's a tough call, but I think my fave is the Brecken sweater. Amazing giveaway! I love the Plaza Hoodie. Thank you! Jesse's girl is definitely my favorite. From purple, to cables, to the neckline - it's my jam! Pun not intended, but totally works here. This is an amazing line! In total, I'd wear three myself and knit another (will need to find a someone to knit it for) and a sweater my husband will like as well! Fabulous! Thanks for the opportunity! I love the Grace Wrapper, so flattering and pretty. 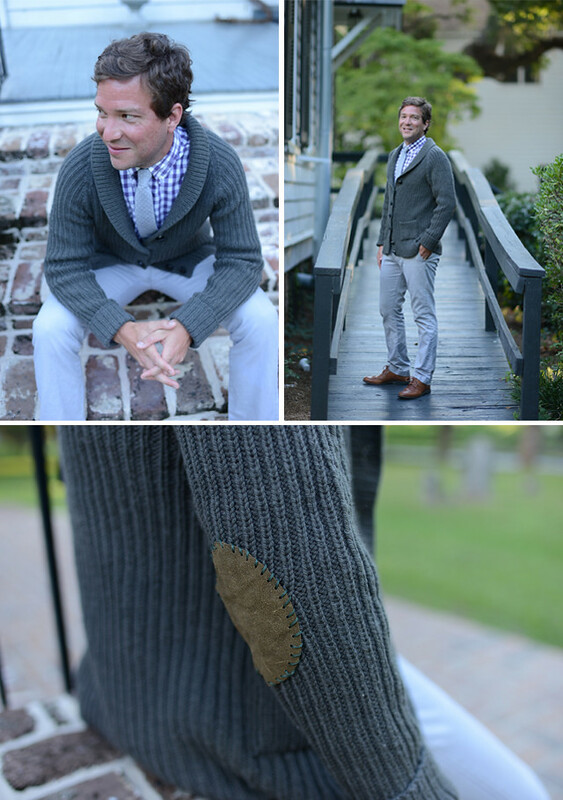 I am always on the lookout for beautiful patterns for men and the Downtown pullover totally fits the bill! It is going in my queue! Fantastic giveaway. I love the Downtown pullover, very chich with its leather inserts, but there are other beauties like Jesse's girl and Joey sweater. A most beautiful collection, thanks for sharing and hosting this giveaway ! I really like Jessie's girl and the wrap around sweater shown above. It's so exciting to see Kate and you both doing so well with your careers. Continually amazing how this fiber community promotes relationship and collaboration. I love Scholar and Grace wrapper. I am knitting my first cardigan for my husband. Scholar could be next for my papa, a university professor! How perfect. Thanks so much! Joey Sweater is my favorite. I can imagine wearing it often in the winter! Wish I could meet you too. I am not alone loving the sidewalk sweater! Super giveaways and spectacular patterns! I love them all, but the Sidewalk Sweater is perfect for my climate and the upcoming winter. Thanks so much! Awesome giveaway! I have been dying to try some YOTH yarn so I really hope I win! And my favorite Grown pattern is probably Jessie's Girl or the Scholar Cardigan. I love the Joey Sweater! The split neck is a great design feature. The Downtown Pullover would be perfect for my husband. I love the Grace Wrap,perfect for with my jeans or skirt.but...The sweaters,Oh my they are gorgeous. I love all of the patterns but Jess's girl is beautiful. Sheesh! That's a hard decision... but I'm going with Brecken sweater. All the sweaters are amazing but I love the Plaza. I LOVE the Brecken sweater. Looks so comfy! I love love love the grace wrapper. Oooooh....Plaza Hoodie ..Love love love this!!!! Congrats on your book of beautiful designs...You hit the nail on the head girl!!!!! I love the "Jesse's Girl" sweater! �� the Plaza Hoodie! It's perfect! I love the Brecken Sweater! So gorgeous. What a beautiful collection!! Love the Joey sweater! That zipper in the back is sweet! I love the Scholar Cardigan!! Omg the Artisan sweater is absolutely breathtaking. Thanks for the chance to win! I'm ShadowAP on Rav. Jesse's girl, I think. The Brecken sweater is a close 2nd! 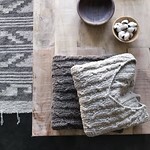 I love the simplicity of the Grace Wrapper, but the comfiness of the Brecken Sweater. I could totally see myself wearing those!! Jessie's Girl is my favorite pattern. What a wonderful book filled with beautiful patterns. Thanks so much for the giveaway! Janaknits on ravelry. I really like the Brecken Sweater. It's my kind of casual. Savannagal on Rav. I love the artisan sweater and grace wrap. both are beautiful! It's a tough job to pick a favorite but I can see my handsome husband in the Scholar Cardigan for sure! If I have to choose just one I'll say Jessie's Girl because it is in purple and that is one of my favorite colors. So many good ones in this collection! My favourite is Jessie's Girl, but I think that's because I'm in a really cablely place right now. Super designs and lovely photography. Selecting a favorite pattern was difficult, but in the end Jessie's Girl won out. I love Jessie's girl - I'm just in a cable mood today, and that purple the sample is in is just lovely. My favorite is the Brecken Sweater.